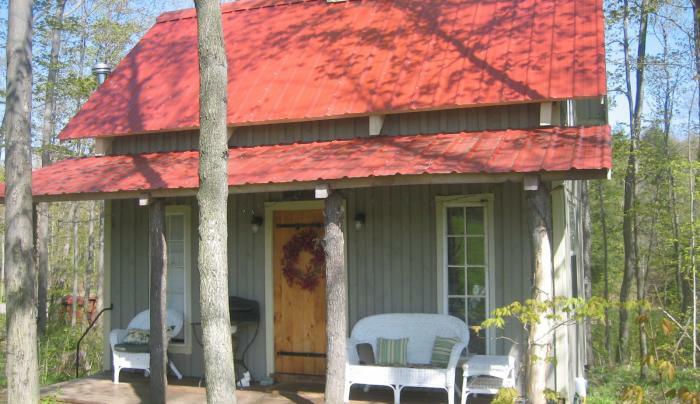 A private cottage in the woods is perfect for your family or a romantic retreat. It is organically built with natural materials. Sheets and towels are of the highest quality organic Egyptian cotton and all natural soaps and shampoos are offered. Our organic breakfasts are so mouth-watering and farm-fresh you'll forget they're good for you. Schedule a massage or just sit in our outdoor spa room, complete with bath, shower, fireplace and sparkling lights. 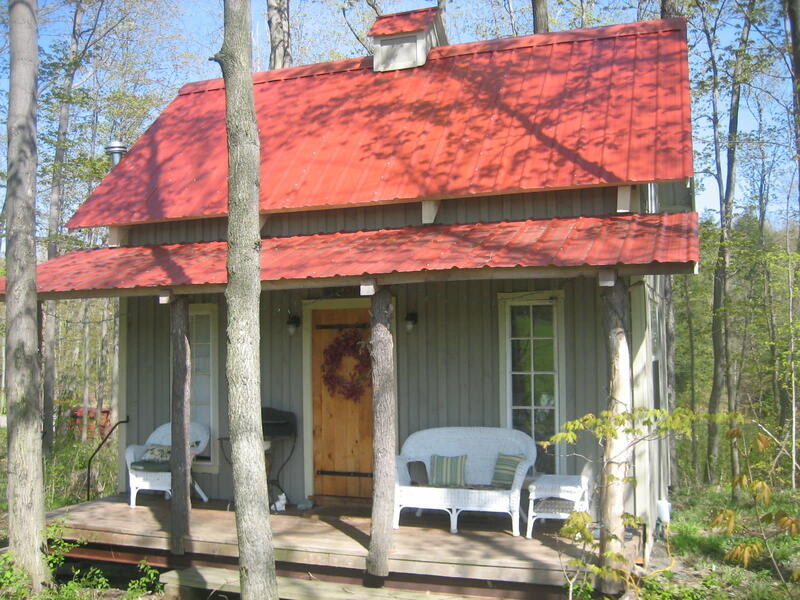 (Spa room open May-Sept.) Unwind on a horse cart ride or take a hike in the state forest just 1/4 mile away.